Photographer Loren Rhoads, author of 199 Cemeteries to See Before You Die and Wish You Were Here: Adventures in Cemetery Travel, blogs about graveyards as travel destinations at CemeteryTravel.com. She’s a long-time member of the Association for Gravestone Studies. 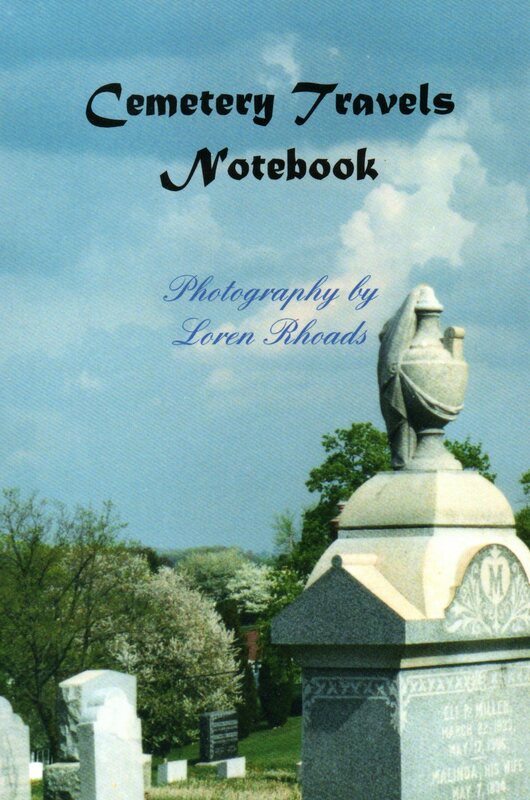 The Cemetery Travel Notebook is available for $21.95 (softcover) or $38.95 (hardbound) from Blurb.com. See a preview at Blurb. Autographed and inscribed copies can be ordered directly from Loren via PayPal. For details or to request inscriptions, leave a message through the Contact Me form.